Pioneers move into Game mode! Echuca speedster Aidyn Johnson fights back from long-term injury to prove his aerobic and endurance levels are extremely high at the AFL Draft Combine. Despite playing just one TAC Cup match for the Bendigo Pioneers this year, Johnson's fitness and skill levels have caught the attention of recruiting scouts. Many clubs in the Bendigo Pioneers region are represented in the football club's rookie squad as it prepares for the 2016 TAC Cup under-18s season. 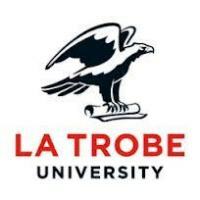 Players from as far afield as Mildura, Kyabram, Pyramid Hill, Boort, Sandhurst and Kerang are in the intake of 40. Bendigo Pioneers and Sandhurst midfielder Tom Cole impresses in shuttle run beep test at AFL Draft Combine. A superb season by Cole included a key role in Victoria Country's unbeaten run in the AFL national under-18 championships campaign. Bendigo Pioneers Football Club draws many players from Bendigo and Goulburn Murray regions for next year's AFL Victoria TAC Cup under-18s matches. A squad of 35, with power to add, includes a dozen players from the Goulburn Murray and nine from the Bendigo Football League. BENDIGO Pioneers clubmates Jayden Burke and Lachlan Tardrew will mark their VFL debut in this Saturday’s football action. Burke was selected by Geelong to play Northern Blues on the Cats’ turf at Simonds Stadium. BENDIGO Pioneers onballer Tommy Cole will play his third VFL match for Geelong this Sunday. BENDIGO Pioneers talent manager Steve Sharp is confident that Kyabram will host a TAC Cup premiership match next football season. THE Bendigo Pioneers endured their worst defeat this TAC Cup season in Saturday’s football clash with Eastern Ranges at Box Hill. Bendigo Pioneers defender Marty Hore will make his VFL debut with Essendon in this Friday’s night clash with Western Bulldogs at Bendigo’s Queen Elizabeth Oval. Spotting the next batch of recruits to the Bendigo Pioneers Football Club’s under-18 and under-16 lists is a key role that Taylah Morris has to play. SIX Bendigo Pioneer players are in the Victoria Country under-18 squad ahead of the 2015 National Championships that begin this weekend. THERE are 29 clubs represented on the Bendigo Pioneers Football Club's under-18s list for this year's TAC Cup competition. BENDIGO Pioneers team-mates Tommy Cole and Aidyn Johnson are set to kick on in the United States. BEST AFIELD: Bendigo Pioneers captain Jake Maher starred in the 18-goal win against Northern Territory Thunder. in 2014, Bendigo’s Billy Evans has played a starring role as ruck-rover for Victoria Country at the national under-18 championships and for the Bendigo Bank Pioneers. THE Bendigo Bank Pioneers face another daunting task in Saturday's TAC Cup football clash with the fourth-placed Stingrays at Dandenong. SOME of Bendigo’s young guns swapped their footy’s for cooking pans and utensils on Tuesday. THE Bendigo Bank Pioneers broke the Geelong Falcons hoodoo in the TAC Cup clash on Saturday at Werribee. THE Bendigo Bank Pioneers celebrated a long-awaited victory after Saturday's TAC Cup football clash with NSW-ACT Rams in Mildura. May 29, 2014, 5:54 p.m.
FOR many years players from the Sunraysia region have shone in TAC Cup matches with the Bendigo Pioneers. By NATHAN DOLE May 25, 2014, 12:45 p.m.
By NATHAN DOLE May 23, 2014, 4:15 p.m.
BENDIGO Bank Pioneers coach David Newett has declared workrate and defensive pressure must be greater in Saturday's TAC Cup football clash with Calder Cannons. By NATHAN DOLE May 15, 2014, 6:30 p.m.
By NATHAN DOLE May 11, 2014, 4 p.m.
WESTERN Jets cruised to an 11-goal victory in Saturday's TAC Cup under-18s football match against the Bendigo Bank Pioneers at Epsom-Huntly Reserve. THE Bendigo Bank Pioneers will be chasing consecutive victories on home turf when they tackle Dandenong Stingrays in this Saturday's TAC Cup under-18s football clash. THE Bendigo Bank Pioneers chalked up their first premiership points of the season after a hard-fought 18-point victory in Saturday's TAC Cup match against North Ballarat Rebels. THE Bendigo Bank Pioneers endured a painful lesson in Saturday's start to their TAC Cup under-18s season against Murray Bushrangers in Shepparton. Despite a final-quarter fightback which it won 41-8, Bendigo was beaten by eight points at Deakin Reserve. THERE are nine rookies in the Bendigo Bank Pioneers squad for Saturday's start to the TAC Cup under-18s football season. Bendigo heads north to Shepparton's Deakin Reserve to tackle Murray Bushrangers. ON the eve of the Bendigo Bank Pioneers first game for premiership points in 2014, we delve into the Bendigo Advertiser archives from the past nine seasons. There have been many outstanding performers for the Pioneers across the past 10 decade. THE funny and serious side of footy was on the menu at Friday's launch of the Bendigo Bank Pioneers season. WITH just four weeks to go before the TAC Cup begins, Bendigo Pioneers coach David Newett believes his team is in good shape. THERE are 29 clubs represented on the Bendigo Bank Pioneers list for this year's AFL Victoria TAC Cup under-18s competition. THE Bendigo Bank Pioneers tackle Calder Cannons in this Sunday's practice matches at Craigieburn Reserve. See your ad hereA big day of footy action kicks off at 10.45am when the under-16s do battle. There will be two under-18s matches. The first is at 12.45pm and the second from 2.45pm. SPRINTS, push-ups, agility workouts, jumps and more were all part of the Bendigo Bank Pioneers Football Club's latest round of fitness tests. 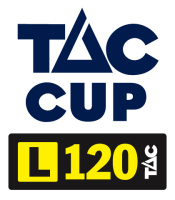 MILDURA will host a TAC Cup football game for the first time in three years in 2014. THE wait for several of the Bendigo Bank Pioneers best of the past two seasons is almost over. MORRISH medallist and TAC Cup Team of the Year ruck-rover Jacob Chisari has one more footy contest to tackle this year. THE Bendigo Bank Pioneers fell agonisingly short of upsetting Geelong Falcons in the TAC Cup clash on Saturday at Epsom-Huntly. MANY brothers have made their mark over the years with the Bendigo Pioneers Football Club. SEVEN players from the Bendigo Bank Pioneers will aim to fire in Sunday’s AFL Victoria Young Guns match at Carlton’s Visy Park. 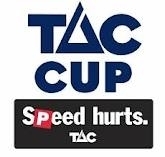 FOR the second time this TAC Cup season, the Bendigo Bank Pioneers could not stop the Dandenong Stingrays charge to victory in Saturday’s 13th round. See your ad hereBendigo played well to be within 17 points at half-time on Dandenong’s turf at Shepley Oval. TRAINING the day after a defeat in an under-18s grand final showed just how determined Golden Square’s Regan Harvey was to play for the Bendigo Pioneers Football Club this year. WINLESS in June, Sandringham Dragons kicked off a new month by beating Bendigo Pioneers in Saturday’s TAC Cup under-18s football clash at Carlton’s Visy Park. Winless the past two and four rounds respectively, te Bendigo Bank Pioneers and Sandringham Dragons will be fired up for today’s AFL Victoria TAC Cup under-18 match at Carlton’s Visy Park. A LOT has happened in the 14 years since Simon Rosa first travelled from Brim to play his first match for the Bendigo Bank Pioneers Football Club. Every year thousands of fans flock to Melbourne for some of the world's biggest sporting events including the AFL season, the Australian Open, the Formula 1 Grand Prix and the Spring Racing Carnival. Known as the sporting capital of Australia, the city is also home to a number of world class arenas. WHETHER it be as physios, rehab co-ordinators or dieticians, more and more women are making their mark at football clubs right across the country. THE Bendigo Bank Pioneers were beaten by the North Ballarat Rebels in the clash of the goldfields in Saturday’s AFL Victoria TAC Cup action in Ballarat. THE Bendigo Bank Pioneers outgunned Calder Cannons in Saturday’s ninth round of the AFL Victoria TAC Cup under-18s season. AS Oliver Wines continues to stake a claim for the AFL’s NAB Rising Star honour, spare a thought for Sam Heavyside. EASTERN Ranges were too strong for the Bendigo Pioneers in the TAC Cup round eight clash on Saturday at Box Hill. THE Bendigo Pioneers kept the heat on the unbeaten Geelong Falcons in Saturday’s TAC Cup contest at Craigieburn’s Highgate Reserve. ACTIONS more so than words will be the way Jacob Chisari tackles captaincy of the Bendigo Pioneers in this year’s AFL Victoria TAC Cup under-18s competition. The Bendigo Pioneers are asking the community to help them support a good cause. Five new names from the SFNL will be on the Bendigo Pioneers’ list for the 2013 TAC Cup season. OLIVER Wines has become used to fitting a lot into his days. MILDURA’S Jacob Chisari yesterday joined an elite group to have won the Neville Strauch Memorial Trophy as the Bendigo Bank Pioneers Football Club’s champion player for the 2012 season. Moama’s Christian Burgess and Echuca’s Oliver Wines will be staying home, rather than travelling across the country side. THE Bendigo Bank Pioneers scored five of the last six goals to beat Northern Knights in Saturday’s TAC Cup match at Huntly. Northern led 40-25 in the fifth minute of the final quarter, but the Pioneers refused to give up. A REGIONAL man whose son died in a car crash hopes sharing his story will prompt young drivers to act responsibly behind the wheel. BENDIGO Pioneers captain Oliver Wines has joined an elite club. A 10-MINUTE burst in which a 10-point lead became an 18-point deficit cost the Bendigo Bank Pioneers in Saturday’s TAC Cup clash with Geelong Falcons at Strathfieldsaye. Gun Bendigo Bank Pioneers midfielder Oliver Wines could make the step up to playing AFL next season, according to his TAC Cup coach David Newett. It’s 10am on June 17 at the Queen Elizabeth Oval and many of the Bendigo Pioneers players are already in the changerooms – two hours before a clash with the Dandenong Stingrays. TEAM-MATES one Saturday, opponents the next. Bendigo Pioneers star Liam Byrne will have season-ending surgery on his wrist today. Jacob Chisari’s after the siren match-winning goal has capped a best on ground performance in BSSC Lions’ clash with Essendon-Keilor at the QEO yesterday. SEVEN young guns from the Bendigo Pioneers squad are in the running to represent Victoria Country at this year’s AFL national under-18 championships. CALDER Cannons outgunned the Bendigo Bank Pioneers in the last quarter as they won Saturday's TAC Cup under-18s football match at Moama by 34 points. THIS time last year Jake Stringer was pondering where his football future lay. The Bendigo Pioneers star had suffered a badly broken leg which would sideline him for the AIS-AFL Academy tour of Europe and the remainder of the TAC Cup season. FORMER Bendigo Pioneers star Scott Selwood has signalled his intention to be an Eagle for life after signing a three-year deal with West Coast yesterday. Which feeder clubs are filling AFL lists and producing the star players? An article from Brett Anderson in Inside Footy Magazine. On behalf of the local Bendigo Australian Football Coaches Association (AFCA) branch I have great pleasure in announcing the winners of Coach of the Year.